CORRECTION: A previous version of this story misidentified one of the Cadillac products assembled in Oshawa. The factory builds the Cadillac XTS. Some workers at the General Motors of Canada's plant in Oshawa might not be out of a job after all, according to the union representing 2,600 hourly employees there. Unifor President Jerry Dias met Tuesday with GM officials to find ways to preserve the jobs that would be lost when the plant closes at the end of 2019 because it would no longer have product to assemble there. Unifor said it still remains “clear to the union that GM has no intention of extending vehicle manufacturing beyond December of 2019, we are examining the potential to transform operations so as to maintain a base level of hourly employment." "I am quite optimistic that we're going to be maintaining some sort of a footprint in Oshawa," Dias told Automotive News Canada after meeting with top GM executives, including GM Canada President Travis Hester and Global Manufacturing Vice-president Gerald Johnson. Unifor said it has suspended its public campaign to persuade the automaker to reverse its November decision to close the plant. Unifor said in a a statement that it began more constructive negotiations with GM on Feb. 25, 2019. Dias said he hopes an agreement can be reached in two to three weeks. No new model is slated for Oshawa, which currently assembles the Chevrolet Impala, Cadillac XTS and previous-generation Chevrolet Silverado/GMC Sierra. "Is a car falling out of the sky to be a part of the solution today? The answer is no," Dias said. "But first of all we need a short-term solution and then we need a longer-term solution. Those are the type of discussions we're having." General Motors of Canada would not confirm that the plant could stay open. “We continue to have discussions with Unifor with regard to supporting our people in Oshawa. We won’t have a lot more to say publicly while those talks continue,” said David Paterson, GM Canada’s vice-president of corporate affairs. 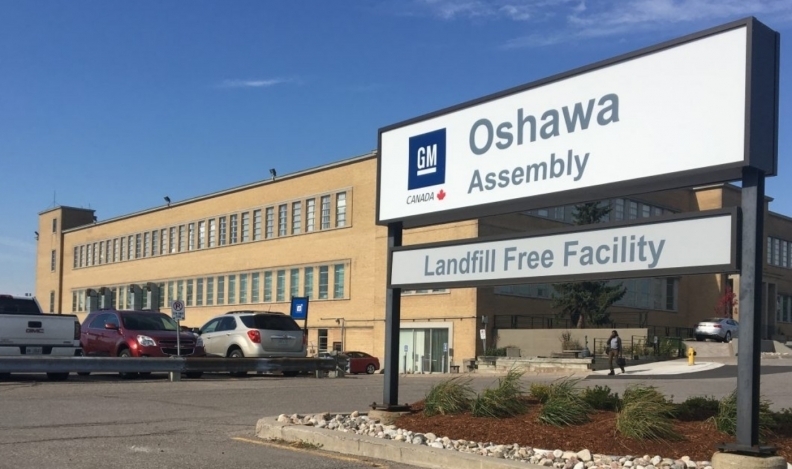 A hearing scheduled for Tuesday before the House of Common industry committee, which was to question top-rank GM officials over the Oshawa plan, was abruptly cancelled a day earlier due to what Paterson called "multiple conflicts." Prime Minister Justin Trudeau, however, may already have answers. On Monday evening, Trudeau tweeted that he had just spoken by phone to General Motors CEO Mary Barra and Unifor National President Jerry Dias. "Auto workers are important to the Canadian economy, and we’re going to do everything we can to support them. I had good calls tonight with @JerryPDias and @mtbarra about standing up for GM workers in Oshawa," the prime minister's message said. Further details may come as early as Tuesday afternoon's delivery of the Liberal government's pre-election budget. Finance Minister Bill Morneau is expected to reveal economic stimulus measures that could include increased support for Canada's diminishing auto sector.